Vaughn: Oh, I say Cyril, what! This is a spiffing location. 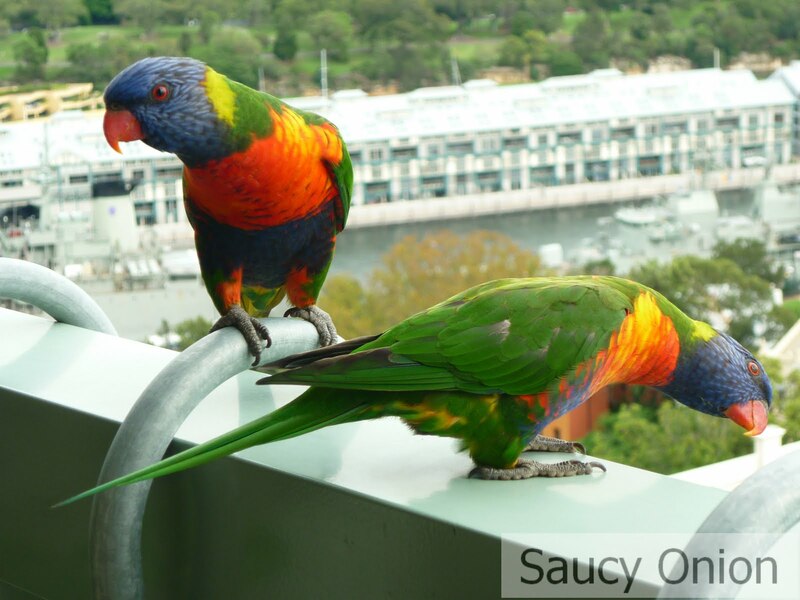 And wonderful that it’s in Potts Point. So close to the yacht club. Isn’t it marvellous Meredith? Vaughn: How did you hear about it Cyril? 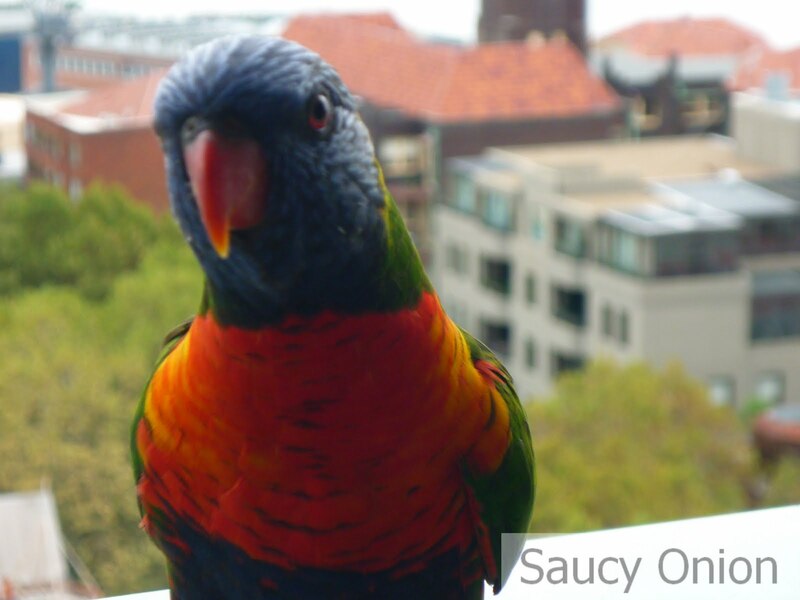 Cyril: A Terry Durack restaurant review. Can’t say I agree with all his comments – not everyone is into fresh herbs and vegetables. 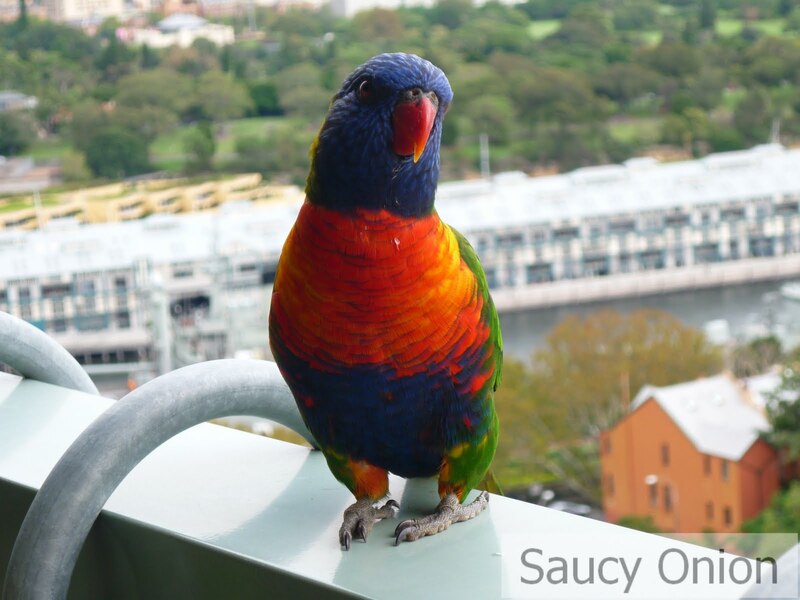 I’d like to see some fruit and maybe a grevillea or two. Marge: Oh Cyril stop grumbling! You’re the one who likes coming here more than I do. You’re here every morning and every evening without fail. I think you’re quite smitten. Cyril: The only thing I’m smitten with is you Marge. Vaughn: Come on you two. 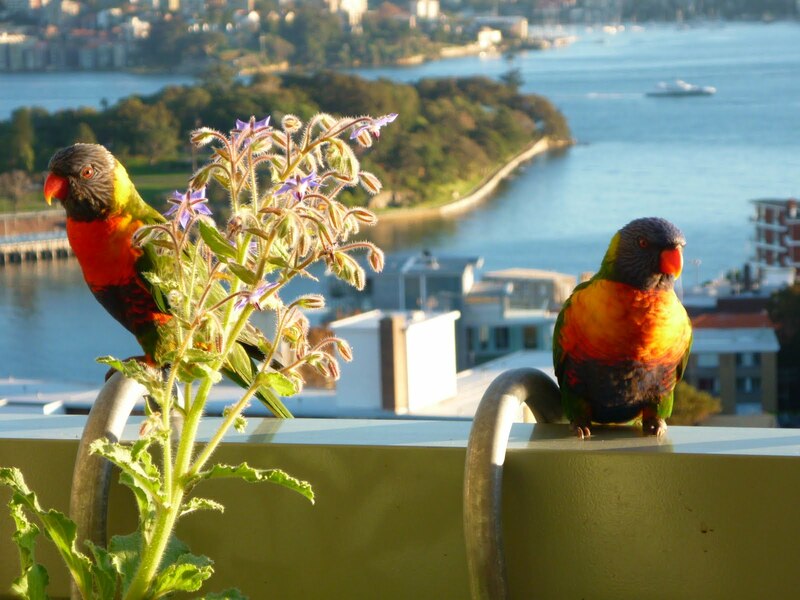 You’re meant to be Rainbow Lorikeets not Love Birds! Why don’t we pop in to the yacht club for a soda? 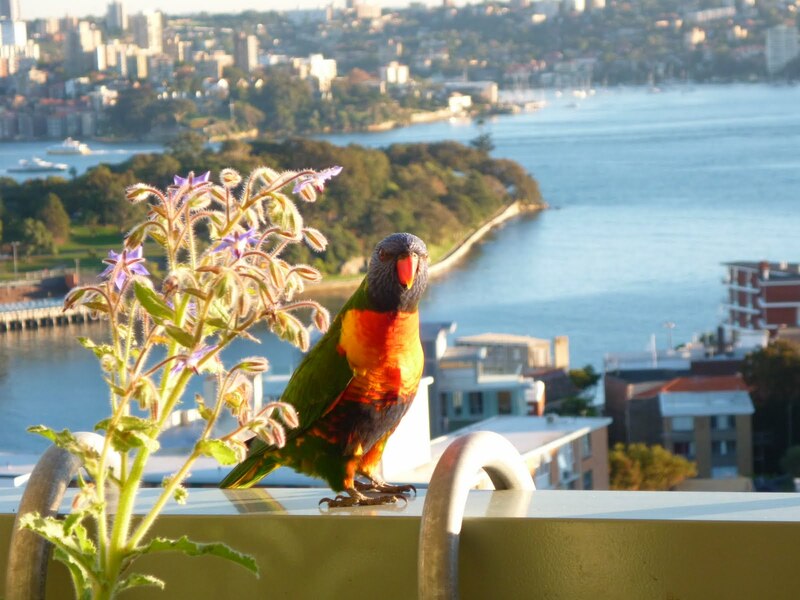 I want to sharpen my beak on that new wooden clipper that docked this morning. 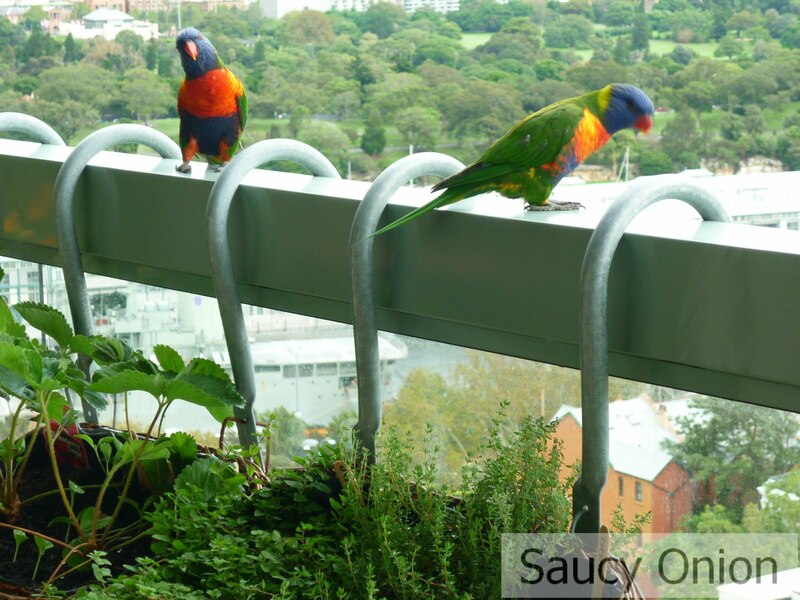 This entry was posted in birds, Edible balcony on May 4, 2010 by dearindira2013. Cyril: ‘Yeah. 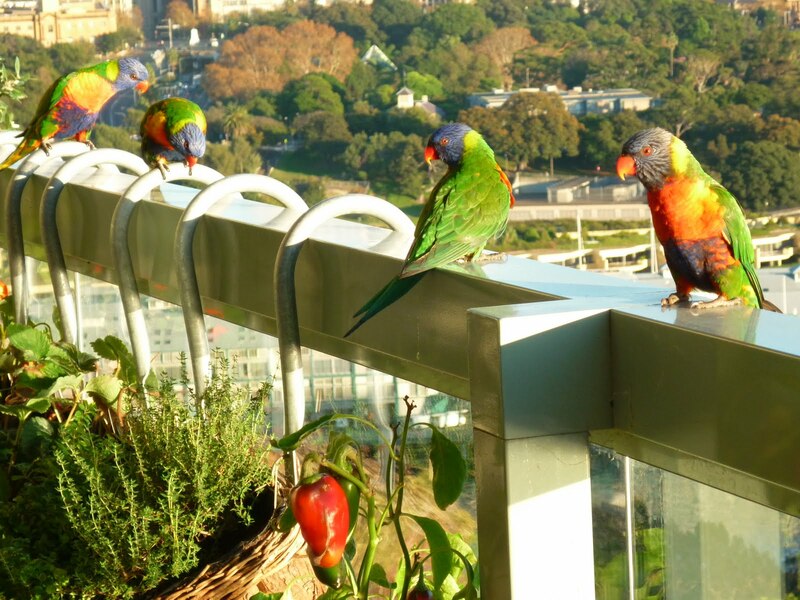 It’s called the Edible Balcony Perch. 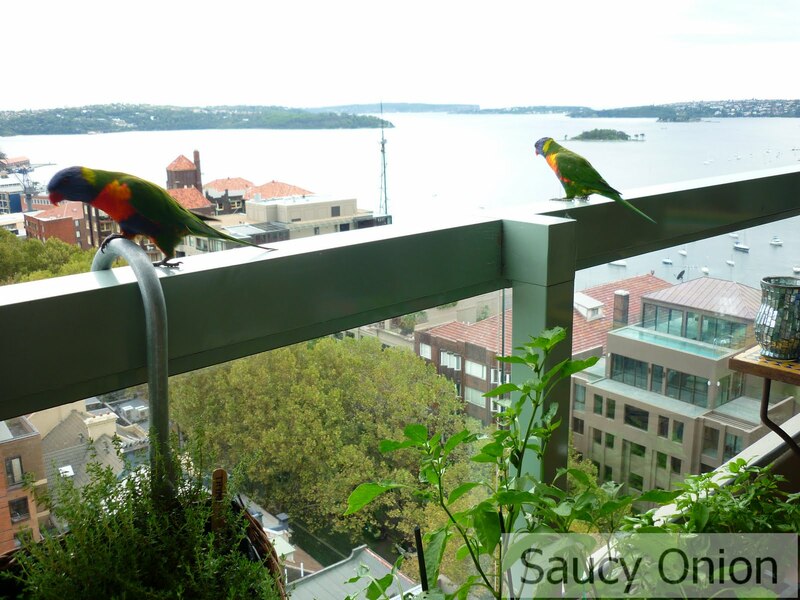 It got a great write-up in Tery Durack’s food column today.Even though the Sydney City Council keeps banging on about ‘greening our urban spaces’ it’s about the only leafy perch left in Potts Point with a decent view. Marge: Oh well, at least the view is breath-taking. Cyril: Over-rated if you ask me. Cyril: This place is as dull as…. why don’t we pop down to the next floor for a few lines of sugar? Marge: Cyril, you know the doctor warned you off refined carbohydrates! Cyril: Aw, come on Marge just one little snort for old times’ sake? Marge: OK. I suppose one line won’t hurt. 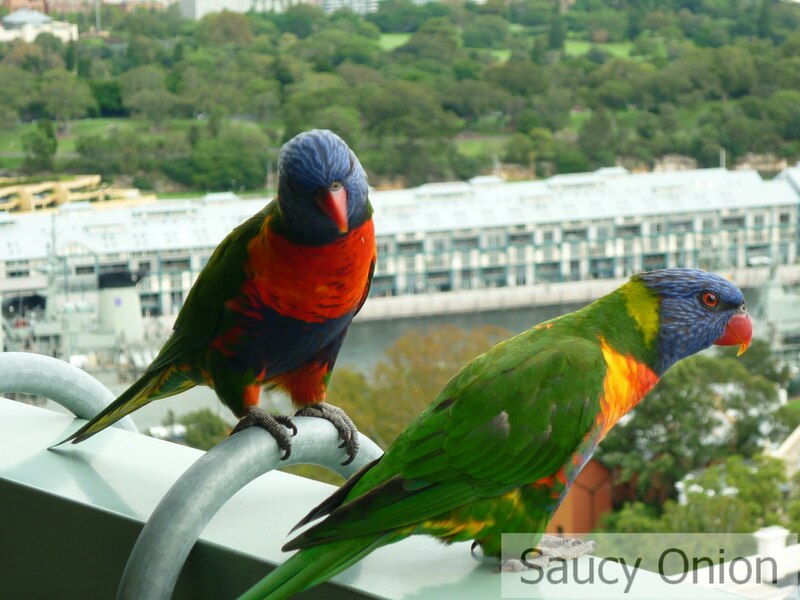 And then we should check out that new wine garden in Surry Hills that everyone’s flocking to. I’m in the mood for a cheeky red. 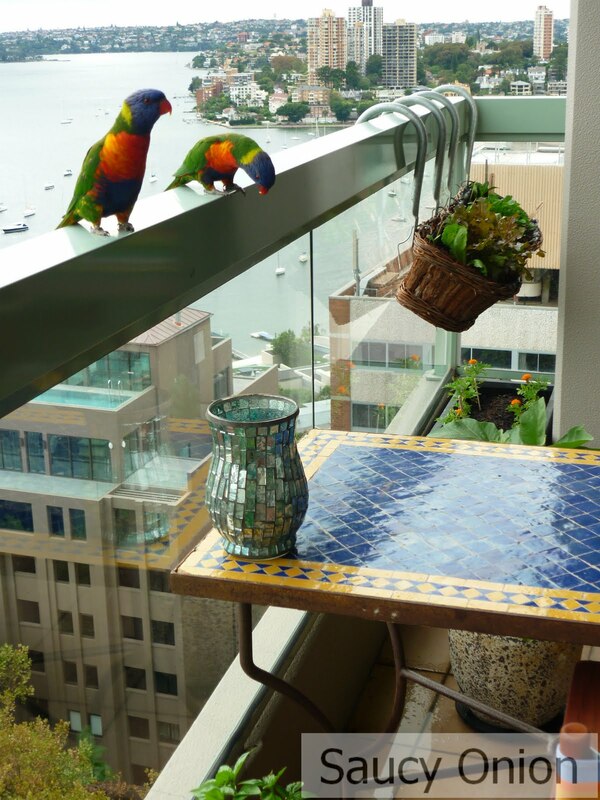 This entry was posted in birds, Edible balcony on February 16, 2010 by dearindira2013.